Pick up your Vietnam WiFi device as soon as you arrive at your city hotel, so there's no need to worry about missing the shop opening hours. 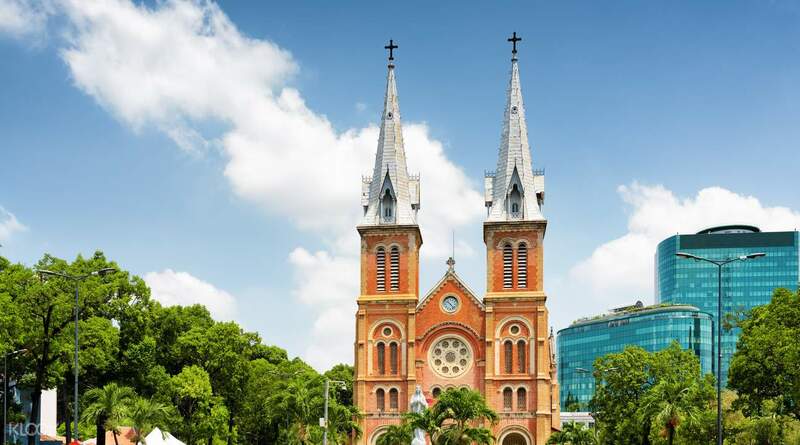 Upon arrival at your hotel in Ho Chi Minh City, Da Nang, or Hanoi, you will be asked to provide your identification and to show your redemption voucher when checking in. 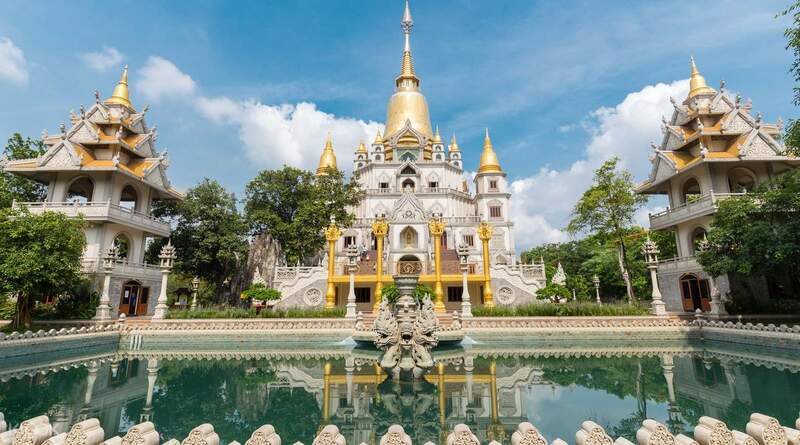 Once the information has been confirmed, you will receive your rental device that will enable you to enjoy unlimited 3G WiFi throughout Vietnam on Vinaphone, a reliable local network. Your portable WiFi will connect up to 8 devices and can last up to 6 hours on a single charge. At the end of your trip, simply pack your rental into the provided envelope and drop it off at the hotel front desk while you check out, the rest will be sorted for you. 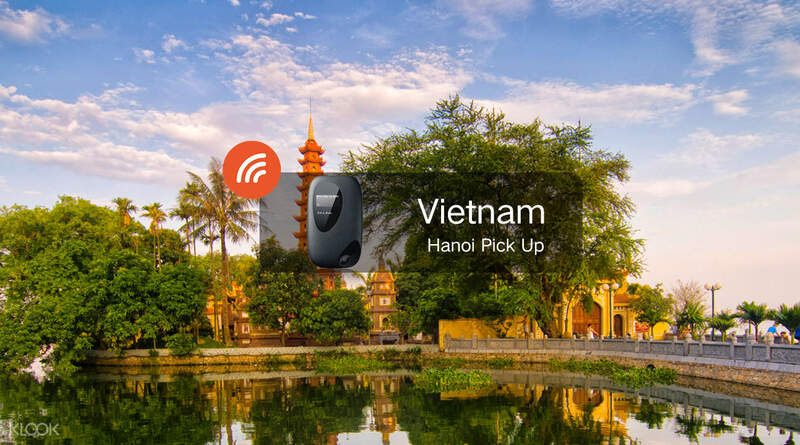 This is quite simply the most convenient and easiest way to stay connected while traveling in Vietnam! Good thing to booked this wifi because it stays you connected especially when following the map and booking grab. Good thing to booked this wifi because it stays you connected especially when following the map and booking grab. Convenient as it is delivered to hotel. We arrived at 2am and it was there already. Intermittent signal in Halong Bay but it was good enough. Just make sure to check the contents of the bag. We contacted them for missing cable and it was delivered to hotel. Overall good experience. Convenient as it is delivered to hotel. We arrived at 2am and it was there already. Intermittent signal in Halong Bay but it was good enough. Just make sure to check the contents of the bag. We contacted them for missing cable and it was delivered to hotel. Overall good experience. The wifi was ready and waiting for us at our Airbnb. Connecting was simple. We were pleasantly surprised that it was 4G, even though it was advertised as 3G. We stayed in Old Quarter and visited Museum of Ethnology and Water puppet show, and signal was strong throughout our trip. The wifi was ready and waiting for us at our Airbnb. Connecting was simple. We were pleasantly surprised that it was 4G, even though it was advertised as 3G. We stayed in Old Quarter and visited Museum of Ethnology and Water puppet show, and signal was strong throughout our trip. Fast internet, wide coverage. Must have when travelling. Delivered to your hotel and just leave it there, too. Super convenient. Fast internet, wide coverage. Must have when travelling. Delivered to your hotel and just leave it there, too. Super convenient. got it right away when we arrived early morning in the hotel. super convenient!! though it was a bit slow inside our hotel itself, in the provinces it was working very well. got it right away when we arrived early morning in the hotel. super convenient!! though it was a bit slow inside our hotel itself, in the provinces it was working very well. Very convenient as pick up and drop off both done at hotel. The allowed return time was until 11.59pm of the return date, very useful as we need to use it till evening. Line was unstable at certain areas of hanoi and device gets hot fast when left on. Very convenient as pick up and drop off both done at hotel. The allowed return time was until 11.59pm of the return date, very useful as we need to use it till evening. Line was unstable at certain areas of hanoi and device gets hot fast when left on. My unit is ready when i arrived at 2:00am in my hotel. Signal strenght is good even in halong bay and tam coc. In other areas in hanoi, internet speed is not good. Returning the unit is easy. Return envelope is provided and i just leave it in hotels front desk. Booking any activity with klook is easy. My unit is ready when i arrived at 2:00am in my hotel. Signal strenght is good even in halong bay and tam coc. In other areas in hanoi, internet speed is not good. Returning the unit is easy. Return envelope is provided and i just leave it in hotels front desk. Booking any activity with klook is easy.